It was a split second decision that saved her, that guided her destiny and led to the moment when she controlled the rise or fall of a nation with the stroke of her sword. Alexa Hollen saw the fire consume her parents and her home. She watched as the sorcerer destroyed life as she knew it. The only thing she had left was her twin brother Marcel and he was urging her to move quickly. The king’s army was fast approaching and the two of them would certainly be taken. Marcel would be forced to fight for the king and because she was a girl, Alexa would be taken to the breeding house. The only way Marcel believed he could save his sister from the horrors she would face as a girl was to make her a boy. Working quickly he cut her hair and in that moment, fourteen year old Alexa became Alex. Solid training, superior focus and exceptional talent helped “Alex” become the best fighter of the Prince’s royal security detail. It also kept her secret safe. For the last three years she had kept up the pretense and had fooled them into thinking she was a boy…or so she thought. It wasn’t until tragedy strikes and Alex is assigned to be Prince Damien’s 24 hour personal guard that she begins to see that she isn’t the only one with a big secret. The prince is not who he pretends to be, and to make matters even more complicated Alexa is beginning to fall in love with him. She knows her very survival is dependent upon masking all feelings, even love, otherwise she risks being exposed. However, what she soon discovers about herself and her destiny puts her in more danger than she could have ever imagined. Things are happening around her so fast that Alexa doesn’t know who to trust and for the first time, she is now questioning her own instincts. 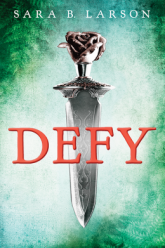 Defy by Sara B. Larson is an adventurous, fast paced young adult title with an age appropriate romance, elements of sorcery and sword fights. Readers who gravitate towards the action and adventure period pieces can enjoy Defy, even if they are less enthused with the idea of a romantic storyline. 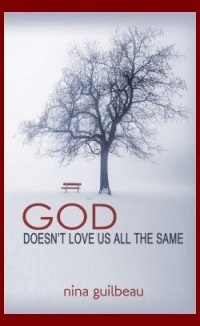 It is also this author’s debut novel and could possibly be the beginning of a series.